On several occasions the WooFDriver and his crew came across these mushrooms while out in the wilderness on a mushing adventures. 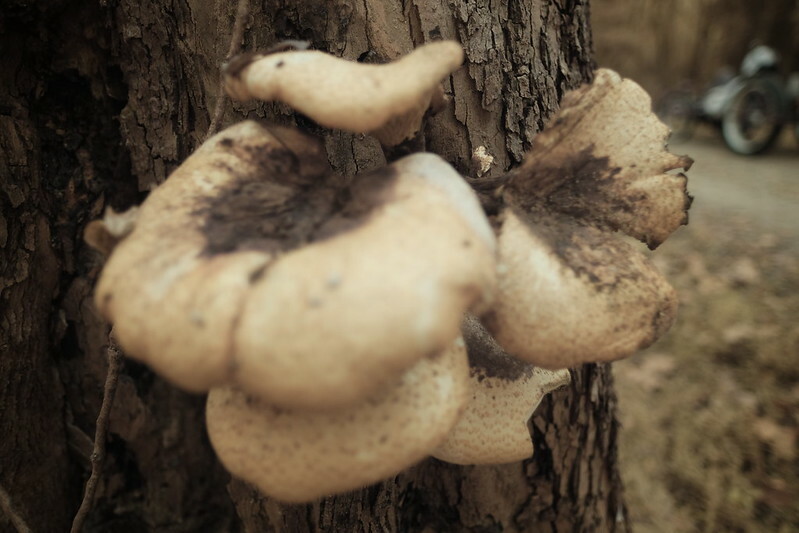 They are believe to be Dryad’s Saddle (Polyporus Squamosus) mushrooms. These mushrooms can be easy to recognize by their large size and flattened scales. They grow on hardwood trees that are both live and standing, and also on fallen trees that are logs and stumps. Enjoy the photos the WooFDriver has captured!